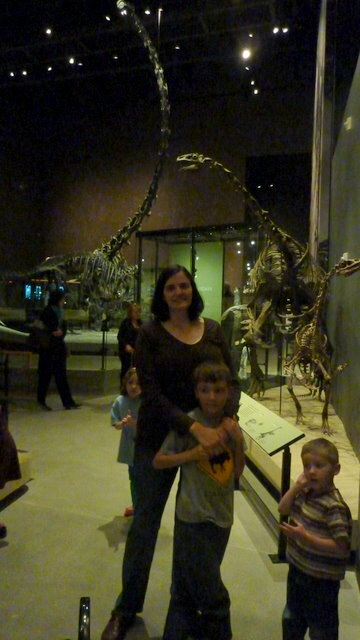 Brian’s mother gave him the best birthday present — a family membership to the new Natural History Museum of Utah. 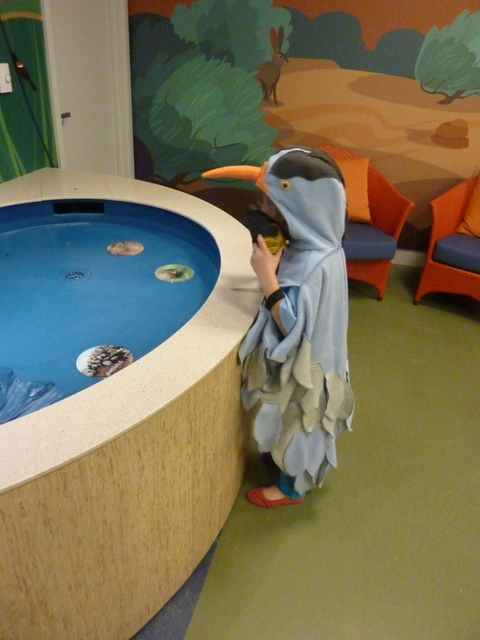 As such, we were able to go to a sneak preview open house on Thursday night. This would be so perfect for a game of I-Spy. Eleanor and I even had a few quick rounds before heading off to explore. 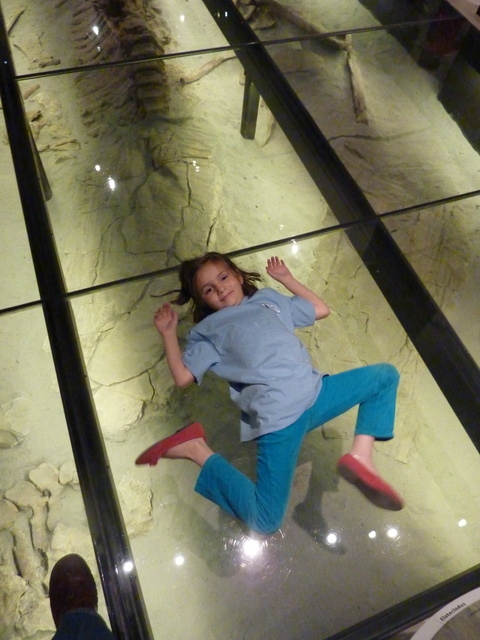 Big chunks of fossils from the Green River dig site — underneath a glass floor! 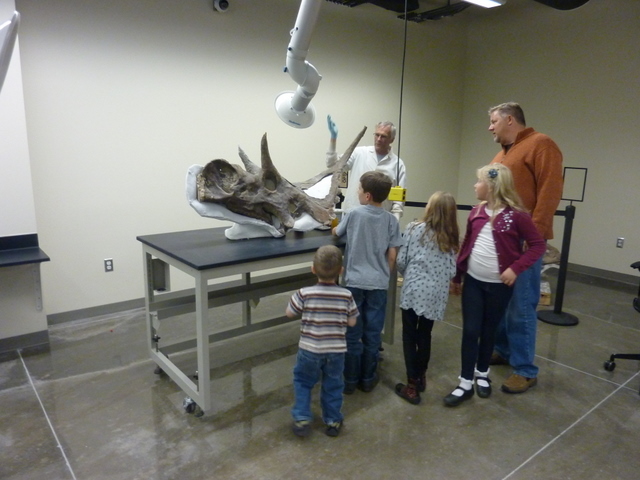 The Paleolab was open, with scientists on hand to show us the finer features of the Diabloceratops. Over in the corner (behind the guy in the orange shirt) is another fossil, that of the Cosmoceratops, which was just discovered and named this summer. It had SIXTEEN HORNS ON ITS HEAD. Just think of the hat possibilities. 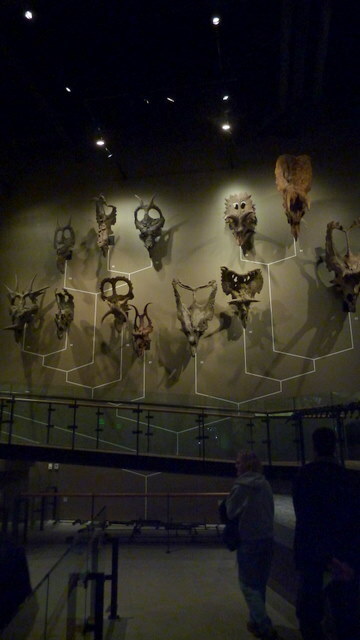 And, of course, many more dinosarus from the Cleveland-Lloyd Dinosaur Quarry. 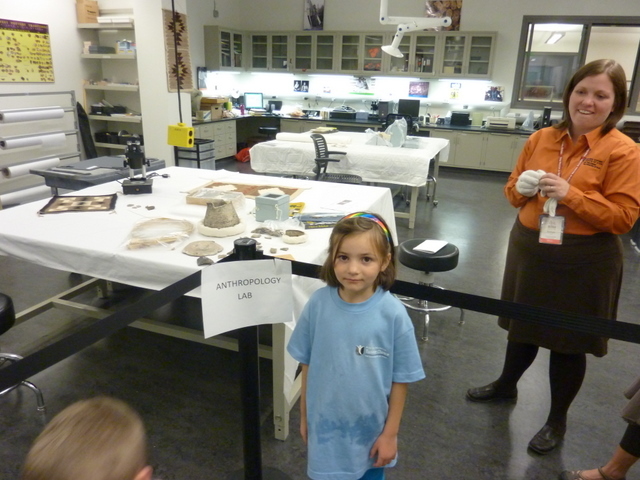 I loved the emphasis on paleontology and other sciences specific to Utah. 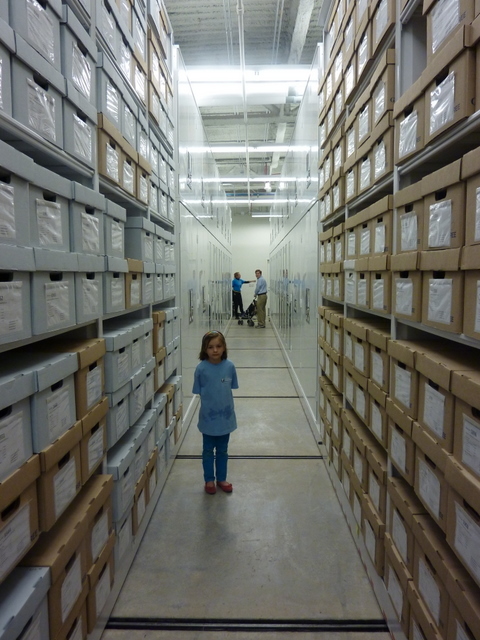 BUT the spiffiest bit was being allowed to walk back into the storage vaults and labs. These will be closed to the public once the museum officially opens. I peeked around, but couldn’t find the Ark of the Covenant or the Holy Grail. Sorry, Indiana. 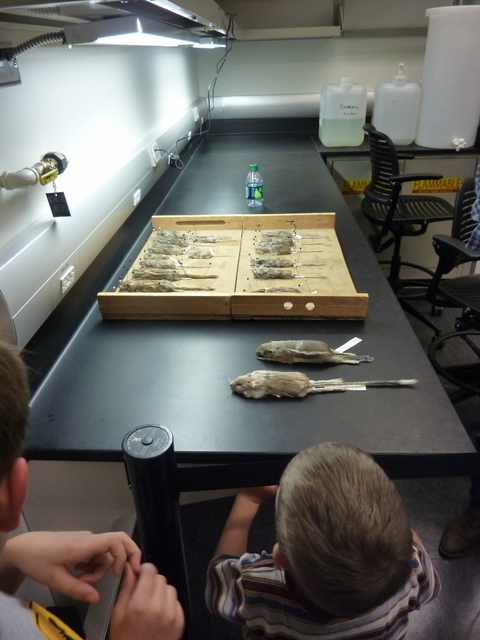 But we saw the Archaeology Lab . . .
. . . the dry bio lab (where they taxidermify small rodents! I know I shouldn’t be squeamish, but ew! my kids asked if they could touch them! And then they did!) . 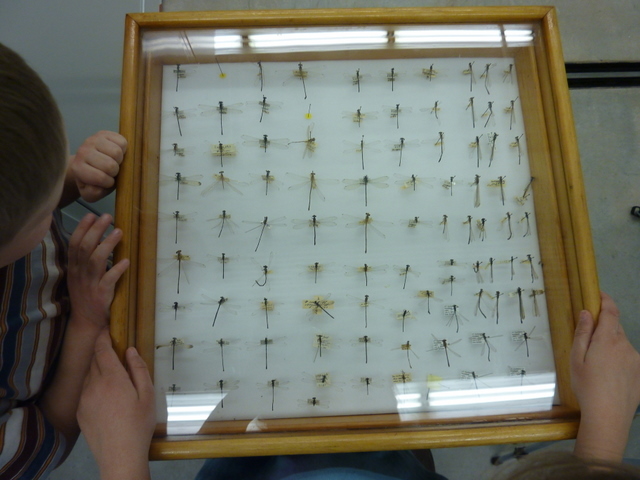 . . .
. . . the entomology vault, which houses many insect collections like this . . .
. . . aaaaaaand herpetology, with its shelves and shelves of creepy preserved specimens. Including, of course, Jar o’ Snakes. Gotta have a Jar o’ Snakes. The Cranky Herpetologist? Somebody needs to write a book with that title. Chop, chop, people. 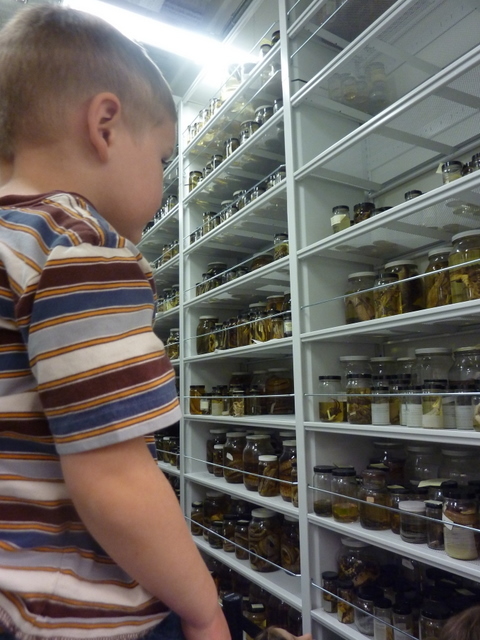 What’s most disappointing with the museum is that after visiting the herpetology room, I didn’t take any more pictures! Not the squishy floor describing the Great Salt Lake! Not the really turn-crank exhibit demonstrating how basin-and-range geology works! Not the water play tables or dig sites! 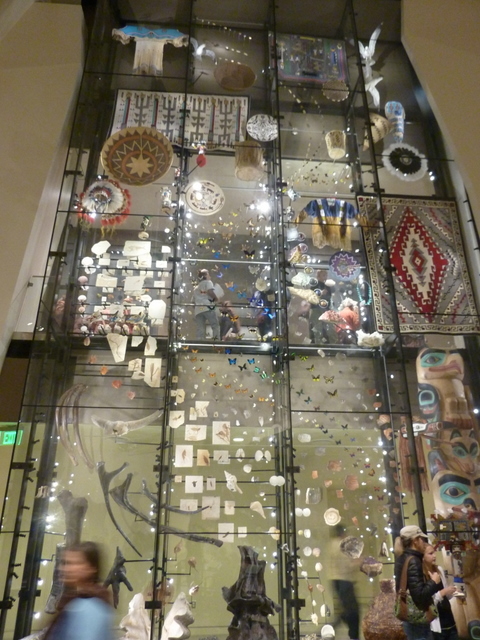 Not the Ancestral Puebloan weaving, or the Native Voices exhibit, or the life science floor! Well, I guess I’ll just have to go back then, won’t I? 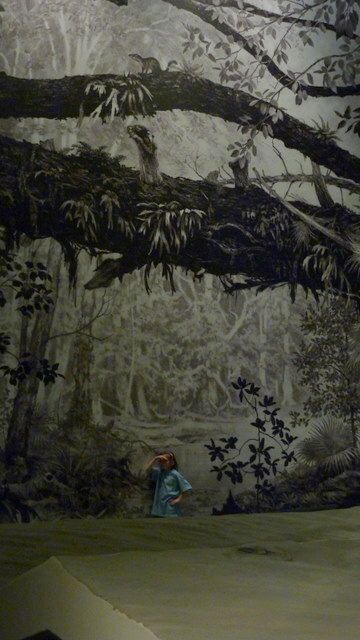 Being the book guru that you are, I assume you have already seen Wonderstruck? The American Museum of Natural History plays a starring role, complete with its own Cabinet of Wonders, much like your I Spy display case. I’m very aware of Wonderstruck, but haven’t read it yet (although I think I’m on the waiting list for it at the library). I love cabinets of wonders. How exciting! Where is the museum located? 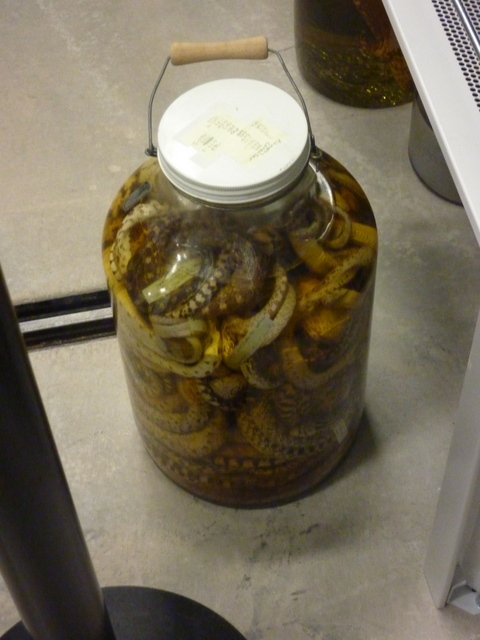 That jar of snakes was very cool and very shudder-inducing.